Use this difference to investigate and find out what is the reason that light around us show colors that we perceive differently in reality. 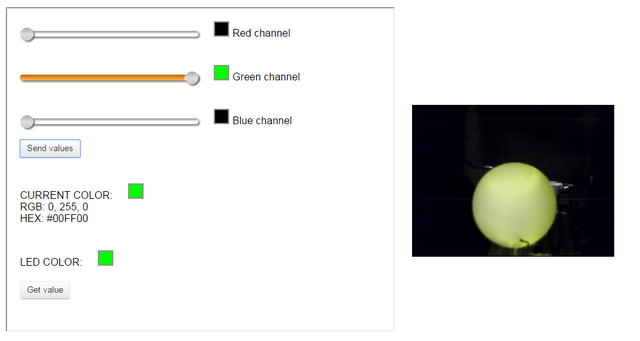 Use the three sliders (red, green and blue) to select your color combination. Then send the new values to the RGB led and compare the real result with the virtual color square below the sliders. Each slider controls one of the three primary colors. Move each of them to get the desired color combination. Once obtained it comparing the color of the bulb with digital color that it is displayed in the laboratory. 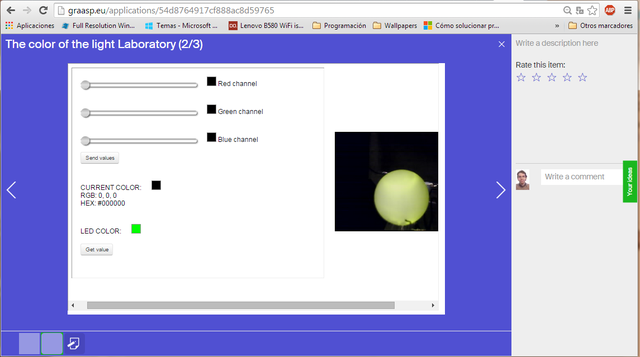 You can help yourself with the ILS created for this lab: http://www.golabz.eu/spaces/color-light. Show to students how light and colors work on real life and how are they preceived.